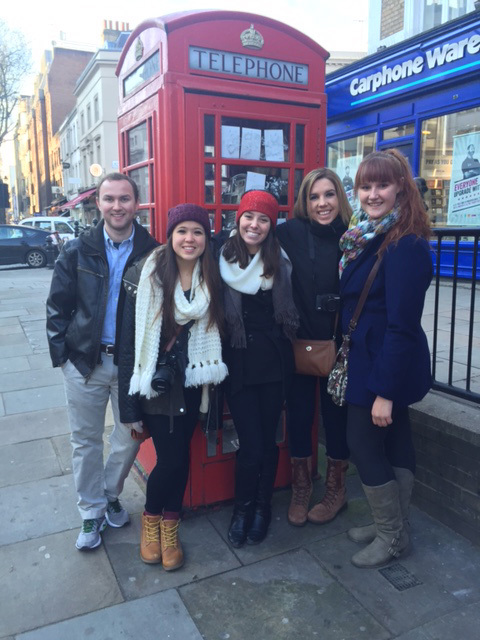 Students who studied in Samford University’s Jan Term began 2015 with a vast collection of new experiences and insights. Nathalie Roeling could not have foreseen the value of visiting a camp in Ecuador in order to form the basis for her senior design project. Students in the course taught by interior architecture professor Preston Hite took in the region’s Latin and native architectural heritage--from the crowded urbanity of Quito to small towns and a small Quichua village with thatch huts. They marveled at an active volcano and a 500-year-old hacienda while enjoying the captivating natural splendor. Beyond all that, they applied their earlier training in interior design to complete a detailed survey of an existing structure for which they will create a renovation design during the spring semester. The multi-purpose auditorium at Camp Chacauco will be used by Ecuadorian Christians for varied needs and gatherings. The opportunity allowed her to learn aspects of the design process that cannot be mimicked in the classroom, she said. The Samford group also learned from a local design consultant at a project site and provided basic consultation for a church in Latacunga. But, said Hite, the students were most moved by the experience of getting to know the Ecuadorians with whom they worked and worshipped. Roeling, a senior interior design major from Baton Rouge, Louisiana, agrees that the trip helped her clarify how she will use her vocation. “I learned, more clearly than ever, that God has called me to give my profession and gifts to glorify Him,” said Roeling, who is thrilled to see God shape the way she works in the field of design. The design course in Ecuador was one of two Jan Term study abroad opportunities offered this year for the first time. In Rwanda, a partnership between Samford’s Brock School of Business and the Mann Center for Ethics and Leadership resulted in a Jan Term offering that gave new dimension to a development economics course. After completing extensive reading and writing assignments on economic theory of differences in global wealth during their Christmas break, 12 students spent 11 days observing various approaches to development practice in the east African nation. They visited large entities such as the U.S. Agency for International Development and the nongovernmental organization Food for the Hungry, examined the role of business investment in rural areas and observed grass-roots initiatives at local projects operated by Rwandans. “Fundamentally, we were attempting to explore how lives could be improved through the use of investment and market exchange,” said business professor Jeremy Thornton, noting that the course successfully leveraged the deep connections that Mann Center director Drayton Nabers and program manager Cameron Collins already had there. The students also explored how faith motivated them to engage the issue of global poverty. They wanted to get beyond the emotional reaction to poverty and understand it on an intellectual level, understand what strategies are productive--and which aren’t--in promoting economic development, explore their own vocational interests, and seek a way to meaningful integrate their faith with their academic work, Thornton said. “Much of what people do when trying to help is actually counterproductive. We heard this repeatedly in site visits. Just giving stuff away to people often hurts more than helps and undermines those organizations there for long periods of time,” said Thornton. The students in Rwanda and Ecuador, where a second group of Samford students studied in the Amazon Rain Forest, were among 198 Samford students who studied abroad during January. Many were based at the Daniel House, Samford’s residential study center in London, England, to pursue study in the arts, culture, political science, geography, nursing, history, pharmacy, religion and fitness and health. Other groups studied education and family life in Indonesia, medical missions in the Dominican Republic, language, food, culture and society in Costa Rica., coastal geography of the Caribbean island of Saba and history and culture in Rome, Italy. Closer to home, students in an upper level sociology class explored the organizational structure, history, and social impact of the Disney Company, using a trip to Walt Disney World in Orlando, Florida, to research how the company creates its signature magical experience. On-campus classes during Jan Term included a business and local poverty class that explored the tenets of poverty through a lens of Christian perspective and social entrepreneurial understanding. Other Jan Term courses covered topics in art and music appreciation and various other disciplines.